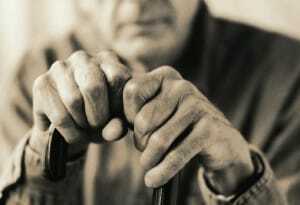 Each year hundreds of thousands of older persons are abused, neglected, and exploited. Many victims are people who are older, frail, and vulnerable and cannot help themselves and depend on others to meet their most basic needs. Abusers of older adults are both women and men, and may be family members, friends, or “trusted others.” In 1991, California enacted laws to protect older persons against such abuse. If you believe you or a loved family member or friend has been or is being abused, neglected or exploited, it is extremely important to discuss your situation and rights with an attorney immediately. 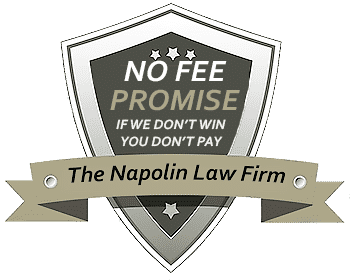 Attorney Alexander Napolin is attorney who you can call to give you trusted and confidential advice about a potential nursing home abuse and elder abuse case. He can be reached at 909-325-6032 and will give you a free and confidential legal consultation in person at your home or in his office. What Is Nursing Home Abuse and nursing home abuse and elder abuse? In general, nursing home abuse and elder abuse is a term referring to any knowing, intentional, or negligent act by a caregiver or any other person that causes harm or a serious risk of harm to a vulnerable adult. Legislatures in all 50 states have passed some form of nursing home abuse and elder abuse prevention laws. Exploitation—the illegal taking, misuse, or concealment of funds, property, or assets of a senior for someone else's benefit. What are the warning signs of Nursing Home Abuse or Elder Abuse? Who Can Sue For Nursing Home Abuse or Elder Abuse? In the event of the death of the elder or adult dependent, their claim under nursing home abuse and elder abuse law is transferred to a personal representative of the deceased elder. This personal representative is usually a close family member who can maintain a legal action against the perpetrator of the abuse as if the deceased elder were still alive. This is a unique benefit of California nursing home abuse and elder abuse Law. In the event the abuse does not lead to the death of the elder or adult dependent, that elder may bring an action on his own behalf against the perpetrator of the abuse. Sometimes but not always, the abused elder is represented by a guardian or conservator who is a close family member or friend in charge of making legal decisions on the elder's behalf. Do not hesitate to get intelligent answers to your questions about nursing home abuse and elder abuse. Call Attorney Alexander Napolin at 909-325-6032 and he will speak with you at no charge to evaluate you potential nursing home abuse and elder abuse situation. There is no obligation to hire Mr. Napolin just because you called for advice. If you choose to hire him, he is ready and willing to help you now!